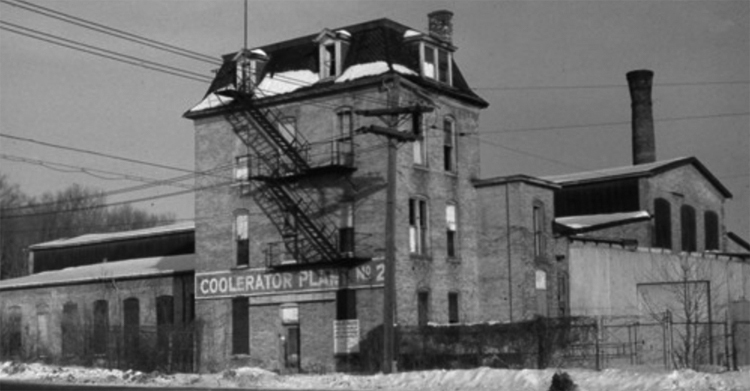 Since four unemployed young men opened a brewery in Portland Township in 1859, Duluth has been the home of a variety of manufacturing concerns. From Aroma Coffee to Zenith Broom, Duluthians tried their hand at just about everything. The Barsness Candy Company was the largest confectioner north of the Twin Cities, and the Ron-Fernandez Cigar Company introduced Cuban tobacco to the Upper Midwest. Puglisi Spaghetti Factory and Duluth Macaroni Company produced pasta while firms such as Elliott’s Meats and Vokoven Sausage Company provided protein. One of Duluth’s oldest manufacturers, Duluth Tent and Awning, is still in operation as Duluth Pack, and the DeWitt-Seitz Furniture Company lives on as the Happy Sleeper Mattress Company. 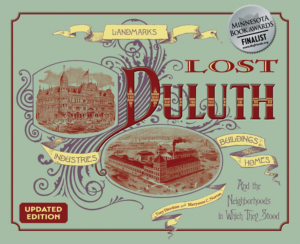 Since cataloging all of Duluth’s lost manufacturers would take a book of its own, we’ve narrowed the pool to those Duluth companies whose products enjoyed nationwide distribution and employed the most Duluthians and Superiorites. E. G. Wallinder Sash and Door opened its own doors at Fifty-Ninth Avenue West and Main Street in 1889 as Duluth’s first manufacturer of windows, doors, mouldings, store fixtures, and a variety of metal work. By 1916 they had added buildings for planers, ripsaws, jigsaws, mortising machines, moulders, turning lathes, and polishers — along with storage sheds and a drying kiln — and the plant covered two city blocks. The company remained strong until 1944, when a fire in the paint shop spread to the entire facility. Forty-five-mile-an-hour winds fueled the flames, and the entire complex was lost. Wallinder later resumed operations in Superior. Duluth Steel Fabricators later built a plant on the site. After the Marinette Iron plant closed in 1900, the newly organized Union Match Company acquired and remodeled the Marinette facility and began to manufacture wooden friction matches in 1903. Each day the factory’s ten match-making machines could take forty thousand feet of lumber and mill it into enough matches to fill two rail cars. In 1922 Union Match merged with Minnesota Match and a year later that firm was purchased by Delaware’s Federal Match Corporation. In 1941 the firm became Universal Match. By 1950 the market for wooden matches had slumped and the match company closed. In 1950 Jeno Paulucci, Duluth’s self-described “incurable entrepreneur,” remodeled the plant to process his Chun King line of Chinese foods. Ten years later Chun King enjoyed an annual sales revenue of $30 million and sold more than half the prepared Chinese food in the United States. The food plant closed in 1973 and was demolished in 1986 for the Interstate 35 expansion and the construction of a paper mill now owned by New Page. One of the first companies to build in the Village of West Duluth as it developed in the late 1880s was the Minnesota Iron Car Company, which produced freight railroad cars. It built a plant along Central Avenue in 1888, and a year later added six more buildings. The facility stretched along the 200 and 300 blocks of South Central Avenue. The company made some of the first ore cars used to carry ore from the mines in Minnesota’s Iron Range. Minnesota Car suspended operations in 1891 and became the Duluth Manufacturing Company, which continued to produce railway cars until 1896. The American Lumber Company occupied the site until 1907. In 1898 an engineering publication announced that “if reports be true acetylene gas will shortly have a rival in carbolite.” Not a rival, but an ally: carbolite, when burned, produced acetylene gas. A calcium, aluminum, and silicon carbide, carbolite was initially produced by mixing blast furnace slag and coke in an electric furnace in a process patented by Chicago chemist and metallurgist Herman Hartenstein. (The recipe later involved less-toxic limestone and coal.) The product, which resembled “crushed rock,” was meant to produce acetylene gas for lighting, cooking, and generators. It was touted as being more “reliable, economical, and safe” than electricity or gasoline. Its most popular use was in welding and cutting torches and miners’ headlamps. Hartenstein opened American Carbolite in Constantine, Michigan, in 1899 to great success. Soon the Constantine plant was insufficient to fill orders. After considering Niagara Falls as the location for a new plant, he chose Duluth because of “the abundant power facilities available by harnessing the St. Louis River at the falls by the Great Northern Power Company.” In 1908 American Carbolite took over the vacant Minnesota Car Company / Duluth Manufacturing plant. By 1910 it employed over 300 workers. For years it was one of the largest and most successful industries in West Duluth — the facility could produce 200,000 pounds of carbolite a day, enough to create twelve million cubic feet of gas. The plant became “the largest of its kind in the world” and its product was shipped as far away as South Africa and the Philippines. In 1928 American Carbolite was sold to Union Carbide, but in Duluth the company operated under the old name. In 1942 the company name was changed to Electro Metallurgical Company. Despite plant manager C. W. Knapp’s assurance that “the change in name will not in any way change the nature or extant of operations at the local plant,” it closed a year later. During the 1950s Zenith Concrete Products occupied the site, but it was gone by 1964. Today a Coca-Cola Bottling plant and several building and scrap industries stand on the Carbolite site. When A. W. Hartman became president of Phillips-Bell Shoe — which had evolved from the Duluth Shoe Company — in 1906, he reorganized the company as Northern Shoe and moved from a small facility on Michigan Street to a new factory which manufactured shoes and boots with names such as Gitche-Gamee, Duluth Hockey, Minnesota Hunter, Northern Maid, and Tamarack. The firm built an eight-story brick building at 225-227 South Lake Avenue in 1907, complete with its own rail line and a dock for loading freighters. In 1910 Northern Shoe’s four hundred workers produced 1,500 pairs of boots and shoes per day and sold over $1 million of footwear a year. In 1918 Hartman again renamed the business, this time after himself. The A. J. Hartman Shoe Company closed for business in 1923. After the company closed, new owners changed the building’s name to the Industrial Building. Over the years a variety of businesses used the facility, including food producers and industrial machine dealers. By 1966 the building sat vacant; it came down in 1968 for the expansion of Interstate 35. Blacksmith Otto Swanstrom invented a practical drive calk to be used with horseshoes, which smiths could easily remove and replace when damaged instead of reshoeing the horse. Successful sales of Swanstrom’s invention led to the 1907 incorporation of the Diamond Calk Horseshoe Company, originally operating on South Lake Avenue. In 1912 the firm moved to West Duluth and built a factory, office building, warehouse, and storeroom at 4702 Grand Avenue. For the next seventy-three years the company operated under the direction of the Swanstrom Family. It distributed its horseshoes and calks to all parts of the United States and was so successful that the plant required three additions before 1919. Eventually, as the popularity of the automobile grew and the need for horseshoes dwindled, Diamond Calk expanded into making hand tools and became known as Diamond Tool. In 1982 the company was purchased by Connecticut firm Triangle Corp., which in turn was bought out by Cooper Tools in 1993. Cooper closed the Duluth plant in October 1994 and moved its operations to facilities in North and South Carolina. The buildings on Grand Avenue were razed in 1996 and replaced by a retail complex in 1998.